Gazebo Contracting Inc. serves a diverse group of customers in the industrial, commercial, and institutional markets. Today Gazebo’s breadth of expertise and depth of resources enables us to drive, even during economic downturns, retaining key employees, and building ﬁnancial strength unmatched by most other construction providers. 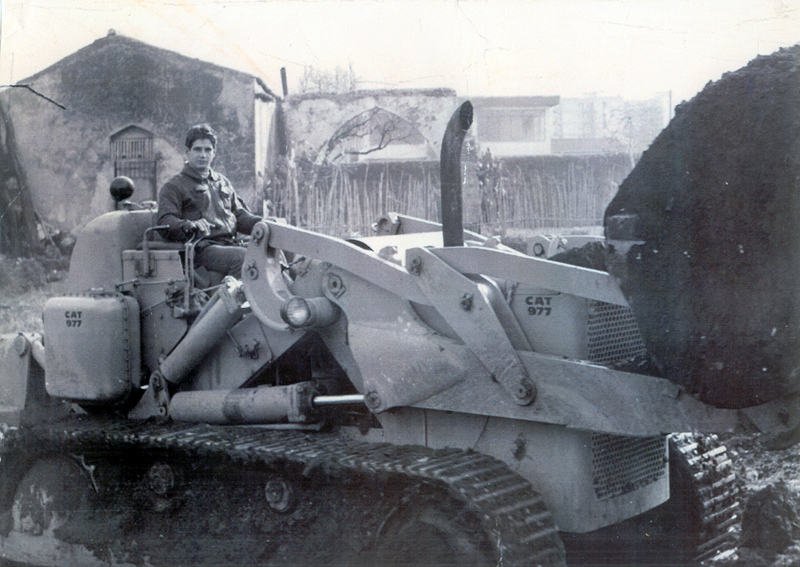 Originating in Palermo, Italy, the Filingeri family has been in the construction business for over a century. In Palermo, the Filingeri family had a thriving business and was well known for their ornamental ironwork. As a young boy, Vincenzo Filingeri observed and worked with his grandfather in their family-run iron shop. His early work experiences inspired his strong desire to learn and succeed. His dream was to establish a business of his own in America. Arriving in America in 1963, he worked for a local iron shop as a master craftsman. He faced many obstacles as an immigrant in a new country; however, it did not prevent him from attaining his dream. In 1972, due to hard work, determination and perseverance, he was able to attain the American Dream. VAM Ironworks was established. VAM Ironworks was primarily known for all facets of ironwork. The company flourished for more than a decade and Vincenzo Filingeri attained recognition for the beautifully constructed gazebo that currently stands at Washington Market Park in Manhattan on Chambers, Greenwich and West Streets. The construction of the gazebo took over three months and four employees to create and install. It was exquisitely handcrafted and finely fabricated. In 1983, Vincenzo retired and was known by many as one of the greatest ironworkers in the State of New York. Vincenzo’s son, Salvatore, who also as a young child worked with his father and brother Benedetto, wanted to follow his father’s footsteps and continue the family legacy. In 1986, with the help of his father, Gazebo Ironworks was formed. 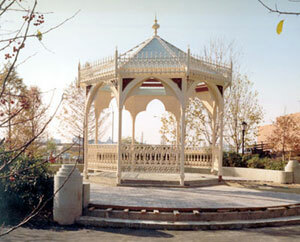 The name Gazebo Ironworks was due to the recognition attained from the finely crafted gazebo. Gazebo Ironworks was successfully owned and run by Salvatore and Benedetto Filingeri later on becoming what it is known today as Gazebo Contracting Inc. Gazebo Contracting Inc. has been in existence since 1992 and has branched out into all aspects of construction. It is successfully managed by Salvatore Filingeri as President and Benedetto Filingeri as Vice-President. Salvatore Filingeri, President, and Benedetto Filingeri, Vice President. We specialize in all facets of the construction industry. Gazebo Contracting, Inc. has been in business for over a decade with an extensive family history in the construction field. We have successfully completed several projects with various city agencies. Namely, the NYC Housing Authority, NYC Parks and Recreation, School Construction Authority, Long Island Railroad, NYC Transit Authority and the Board of Education. Since its inception, Gazebo Contracting Inc., has also reflected the exacting principles of service and commitment with which our name has historically been associated. We seek to fulfill--even surpass--our clients expectations and requirements, provide meaningful and safe professional opportunities for our employees, and further distinguish the construction industry with each project we complete by consistently committing to a high level of workmanship.